This entry was posted on June 18, 2008 at 10:40 pm and is filed under abstract. You can follow any responses to this entry through the RSS 2.0 feed. You can leave a response, or trackback from your own site. Cool. Are you making T-shirts? Cool. 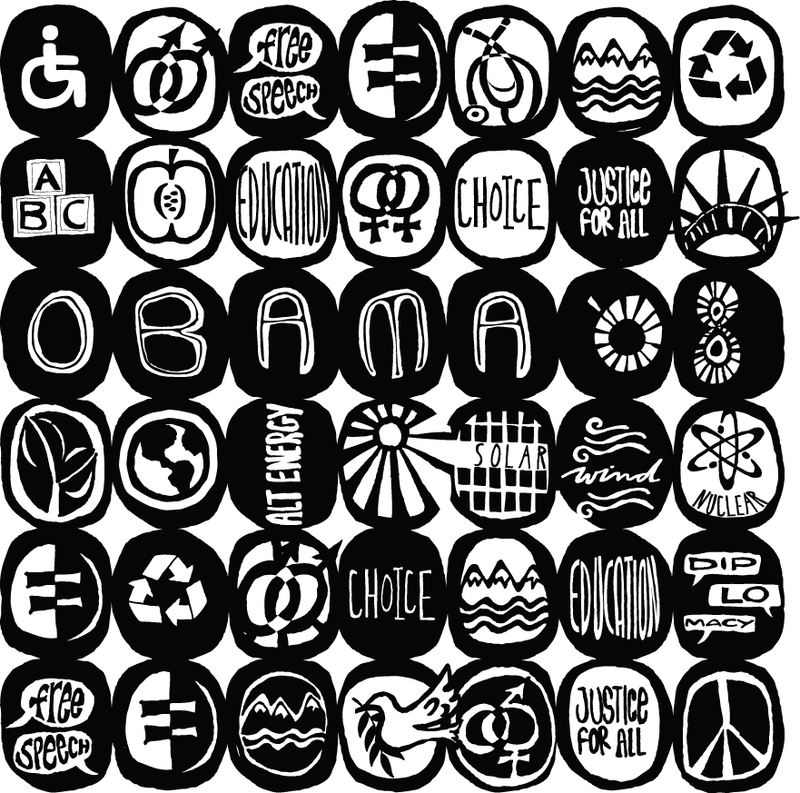 Are you making T-shirts of this wicked design once you replace the nuclear icon? Thanks for bestowing us with free speech, obama. You’re a pal.